Extron's StudioStation™ is a quick, simple, and convenient solution for one-touch recording of high quality video and audio presentations. To turn the system on, insert a USB stick and press the record button to begin recording. Systems are customizable to support any installation. 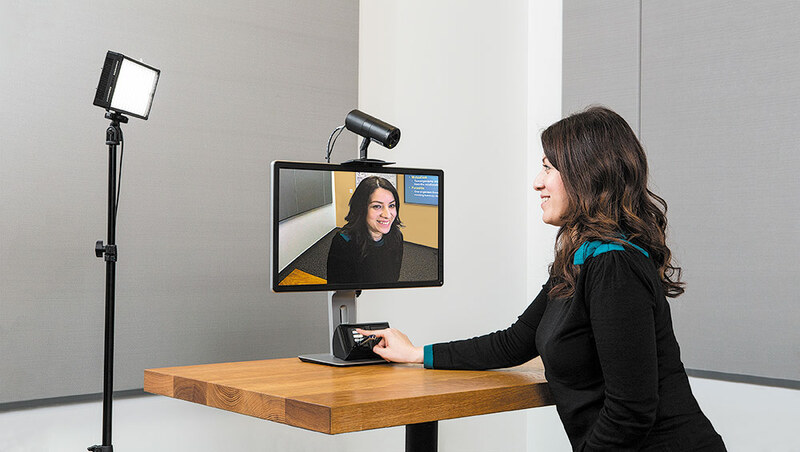 StudioStation solutions are ideal for flipped classroom recordings, lecture capture, product presentations, board meetings, rehearsal spaces, deposition recordings, moot courts, or any other application where convenient, one-button recording is desired.